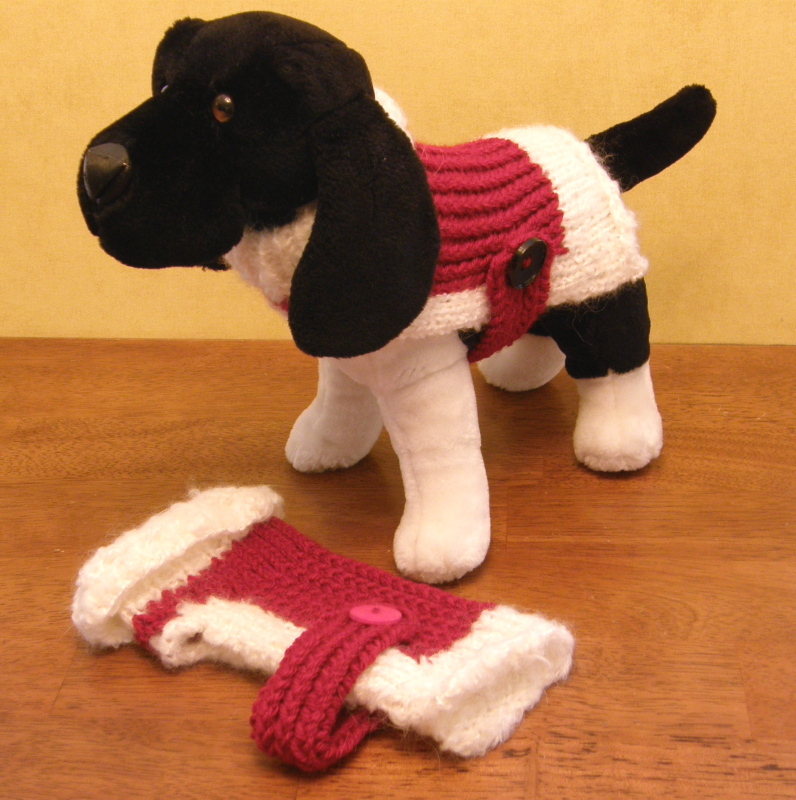 I’ve recently had the opportunity to re-create the Pooch Parka, a submission of mine for the Loom Knitting Pattern Book. In creating my 2nd “Santa Parka”, I actually used only one strand throughout, which made the project a little less dense. This is a good way to go if you don’t need such a thick parka. Also, the white furry trim was a tad bit thinner (#5 bulky) than the original choice of yarn (#6 super bulky), so the number of rows differed just a bit for the body of the project. The next thing I changed up was in the shaping of the front chest area, when the project begins to be knit in a flat panel. You’ll actually be going backward one peg (from 5 of the previous row to 4 of this row) when you “twist” yarns, which is fine, just keep it kind of loose so the project doesn’t pucker here. At peg #23, CO a new strand of CC yarn…Do Not Cut Original Strand! You will now have 2 strands of CC yarns for working the trim on each side of the panel. Row 23: In order to make this work with the 2 strands of CC, after your decreases, you’ll need to go backwards with your first strand again, twisting loosely around MC so as to not pucker, from peg 8 of the previous row to peg 5 of this row. You’ll need to do the same at the end of the row for the 2nd strand of CC, from peg 3 to 23 (crossing backwards over pegs 2,1 & 24). With the change of yarn types, I actually only knit in the pattern until Row 50, then increased the # of the thinner CC yarn to a total of 10 rows for the base. Again, for the difference in yarns, I changed the strap rows to 48. Row 54: Peg #3 will only have 2 loops (not 1) and will therefore not be KO. Row 55: Peg #3 will be KO 2 loops over 1 (not 1 over 1). Weave in all ends…with the extra yarn maneuvers listed here you’ll have a few more ends to weave in, but the results are definitely better when all is said and done. Okay…that should do it! I hope this helps you when creating this project, and gives you the freedom to create your Pooch Parka in other styles and colors of yarns for an unlimited variety of finished looks. 🙂 As always, I’d love to see your pictures, and would be honored to post them in the Clique Pics Page! ***Also, please feel free to post any questions you might have about this pattern right here in the comments section of this post, and I’ll answer here as well, so that we can keep all the learning process in one place for everyone’s benefit. 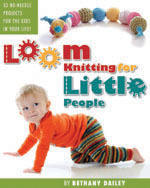 This entry was posted in Books, Loom Knitting, Looming Patterns, Pets, Tutorials. Bookmark the permalink. After reading this post, I had to go to Wal-Mart’s website and order the book. I love that you have such wonderful patterns and they are always so creative. 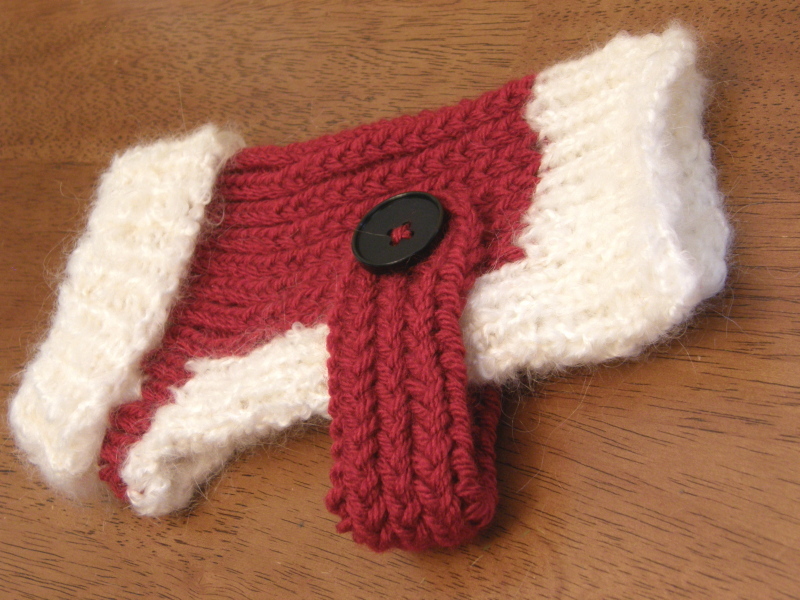 My puppy dog and my sister’s puppy dog will be warm and cheerful this Christmas. Thank you for all you do! You’re gonna love it…it has tons of excellent patterns, from many different designers, so you’ll get a different taste of designing styles from each one. Enjoy!